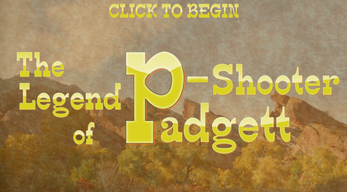 Follow the legendary bounty hunter P-Shooter Padgett on his escapades across the old west! 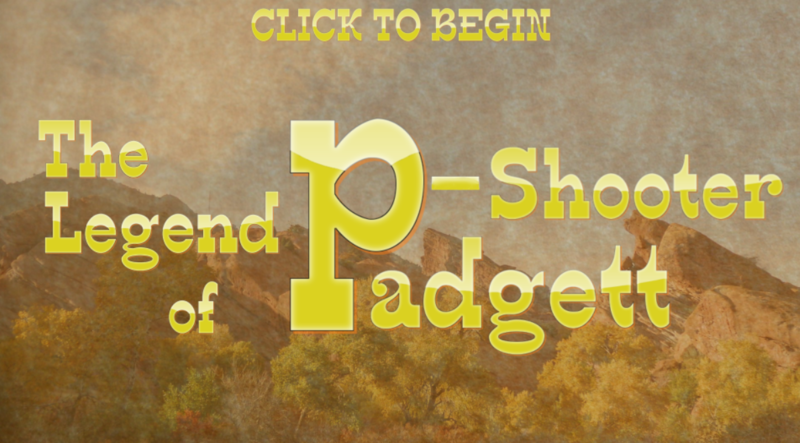 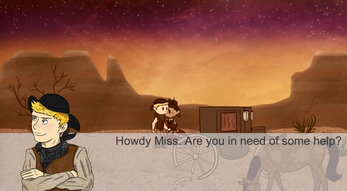 In this side-scrolling text based adventure, you'll help Padgett solve a mystery for the people of Tag'd Springs and bring a legendary criminal to justice... or will you? The choices you make will affect the outcome of your story as you choose which side of the neutrality line you want to cross!